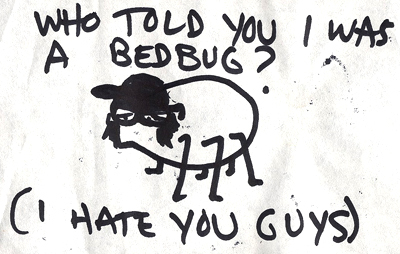 Who Told You I Was a Bedbug? I found this in my NY Public Library Book. The book was the Complete Candida Yeast Guidebook – which might make it more creepy. I thought one of my coworkers had drawn it and stuck it in the book because we have conversations about how scary bedbugs are sometimes.